Vibration in the form of High Frequency Acceleration (HFA) is anabolic on the craniofacial skeleton in the absence of inflammation. Orthodontic forces trigger an inflammation-dependent catabolic cascade that is crucial for tooth movement. It is unknown what effect HFA has on alveolar bone if applied during orthodontic treatment. The objectives of this study are to examine the effect of HFA on the rate of tooth movement and alveolar bone, and determine the mechanism by which HFA affects tooth movement. Adult Sprague Dawley rats were divided to control, orthodontic force alone (OTM), and different experimental groups that received the same orthodontic forces and different HFA regimens. Orthodontic tooth movement was assessed when HFA parameters, frequency, acceleration, duration of exposure, and direct or indirect application were varied. We found that HFA treatment significantly enhanced the inflammation-dependent catabolic cascade during orthodontic tooth movement. HFA treatment increased inflammatory mediators and osteoclastogenesis, and decreased alveolar bone density during orthodontic tooth movement. Each of the HFA variables produced significant changes in the rate of tooth movement and the effect was PDL-dependent. This is the first report that HFA enhances inflammation-dependent catabolic cascades in bone. The clinical implications of our study are highly significant, as HFA can be utilized to enhance the rate of orthodontic tooth movement during the catabolic phase of treatment and subsequently be utilized to enhance retention during the anabolic remodeling phase after orthodontic forces are removed. Though still a relatively new orthodontic treatment modality, clear aligners have quickly become an increasingly popular alternative to fixed appliances for tooth straightening, since they provide an aesthetically appealing and comfortable choice. However, the recent rapid advancements in aligner technology are yet to be recognised by many dentists, leading to a low adoption rate. This article will provide an introductory overview of aligner treatment and its development. Traditionally, malalignment has been corrected using fixed orthodontic appliances. However, in 1999, Align Technology made its Invisalign system available for commercial purchase, altering the future path of orthodontics. A clear aligner, Invisalign offered an effective alternative in orthodontic treatment, as its correct use can minimise the plaque build-up, gingival recession and inflammation of soft tissue sometimes associated with fixed appliances. Additionally, its complete lack of metal parts presented an aesthetic advantage, and the ability to remove it at any time (especially relevant during eating) allowed Invisalign patients a level of comfort and hygiene care previously unmatched in orthodontic treatment. The lack of awareness of clear aligners’ benefits among dental practitioners has sometimes been attributed to a lack of scientific studies on this treatment modality. As aligner therapy has developed and been more widely adopted, however, increasing research into its effectiveness and patient satisfaction rates has been conducted. For example, a 2015 study published in the BMC Oral Health journal compared oral health status and satisfaction levels among patients who had received fixed appliances and those treated with the Invisalign system. It found that Invisalign patients were more satisfied overall and enjoyed greater periodontal health, with slightly lower levels of dental plaque. According to another study, conducted in 2013 and published in The Angle Orthodontist journal, compared with those treated with conventional edgewise brackets, patients who had received aligner therapy had significantly fewer dental visits, shorter treatment duration, fewer emergency visits and less overall chair time. Aligner therapy is one of the fastest-growing areas in orthodontics, driven significantly by patients who regard it as a more comfortable, convenient and discreet alternative to fixed appliances. Given that market research firm Technavio has projected this market to grow at a compound annual rate of 12.68 per cent globally from 2016 to 2020, the need for organisational bodies to increase education and awareness of aligner therapy is essential. The German Association for Aligner Orthodontics was founded in 2007 and the Japan Academy of Aligner Orthodontics in 2012, with both organisations aiming to foster a space for increasing awareness of the applications and advantages of aligner therapy. More recently, the EAS was established in 2013, with Dr Graham Gardner serving as its founding and current president. In order to promote education on the latest technologies used by clear aligners, the EAS will be hosting its first AlignerLab workshop on 18 February 2017 in Vienna in Austria. It follows on from the successful first EAS congress in February 2016 and will provide clinicians with an opportunity to engage in a variety of hands-on sessions covering 3-D intra-oral scanning, 3-D printing, virtual treatment planning techniques and tooth movement acceleration techniques. Gardner believes the AlignerLab will highlight how far aligner therapy has come in such a short time. “With the explosion in the 3-D treatment planning and manufacturing processes now available, we at the EAS believe that not only do we need to update our knowledge on the various aligner systems available, we also need to understand the associated hardware—scanners, computers, software, 3-D printing—that is necessary to optimise the aligner system and improve treatment results,” he told Dental Tribune Online. Gardner envisions the event ideally becoming a regular occurrence to allow dental professionals to trial and compare new systems and developments in aligner technology. 365Braces.com is the first of its kind website offering a Doctor controlled orthodontic treatment called “Hybrid Braces.” By utilizing a hybrid mix of high tech braces and/or clear tooth aligners (called 365Aligners™), patients receive treatment in a dramatically short period of time (6-12 months), at a FRACTION of the cost, and always finish their treatment using a set of clear tooth aligners. Because our Providers now have their own onsite 3D aligner labs, we can offer this service minus the lab expense of Invisalign. The Orthodontists who created this as an alternative to full braces or Invisalign are now passing the savings DIRECTLY TO YOU, our patients. We believe “Hybrid Braces” and 365Aligners™ are the perfect balance between cost and effective tooth aligner treatment. It’s an excellent option for both teenagers and adults. Perfect for minor or mild tooth movement. No braces involved. Only sold in sets of 5 aligners at a time. 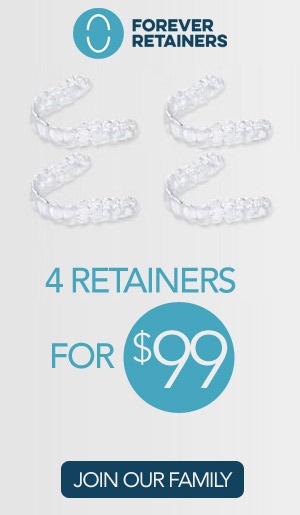 $39 per aligner (Minimum of $195 per set). Not everyone can afford the thousands of dollars it costs for braces or well-known products like Invisalign which is why Smile Direct Club hit the market. Smile Direct Club allows you to bypass the orthodontist along with the bills. The American Association of Orthodontists has lodged complaints against Smile Direct Club in 36 states, including Georgia and South Carolina. It alleges the company is creating medical risks by bypassing the doctors. On Your SIde wanted to know is the board trying to stop its competition or is there really a risk? We found someone who put her smile to the test. “I feel like it gives everyone a confidence boost,” Robin Burns said. “I have three of four children in braces,” she added. Burns, herself, didn’t feel the need to see an orthodontist for her own bottom teeth. An ad caught her eye. Smile Direct Club told her it could give her her smile back at a fraction of the cost. “I was getting quotes from about $5000 from a regular orthodontist to do Invisalign and it was $1500 to do Smile Direct,” Burns said. In January, she started treatment. Fast forward eight months and several aligners later and, at first look, it appears to have worked out beautifully. Her smile was back but at an even bigger cost than the aligners. “My molars do not come together even now. Now, when I chew food I have to gum it instead of chew it,” she said. Burns sought help from an orthodontist after treatment with Smile Direct. “She signed her life away by agreeing to the treatment,” Dr. David Carter said.